One of Russia's major weapons producers has revealed a new military-grade coating capable of copying the colors of the surrounding environment. 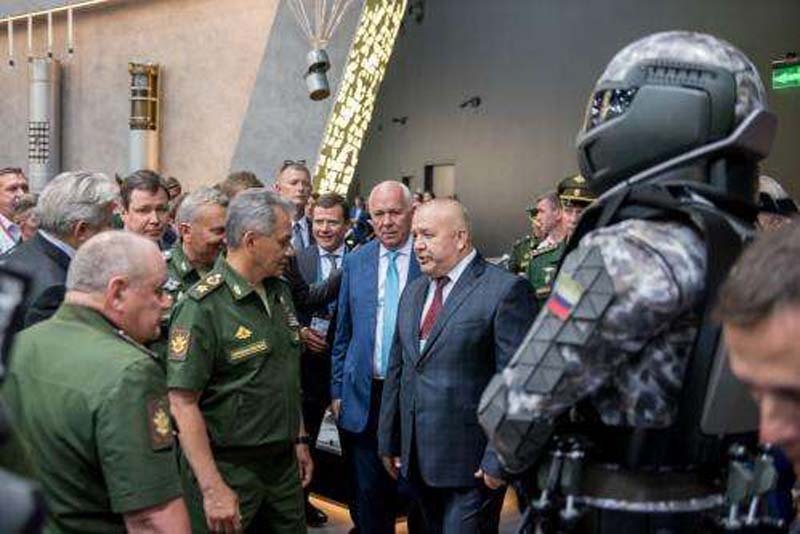 Sergey Chemezov, CEO of Russian state corporation Rostec, said Tuesday that his company has successfully developed a combat helmet covered in the advanced material, making it invisible to the human eye. The project, he claimed, could also be used to mask troops and tanks entirely. [post_ads]"We are constantly improving the equipment of servicemen. The main goal is to make the soldier more protected, to strengthen his technical equipment. One of our latest developments is a coating that, like a chameleon, mimics the color of the environment. With the use of this technology, a helmet has been created, which will soon be demonstrated at an upcoming exhibition," Chemezov told the state-run Tass Russian News Agency. "They are an ideal means of camouflage for personnel and equipment. With the help of this coating, it is possible to make tanks and other military equipment invisible," he added. Since at least 2008, Russian President Vladimir Putin has increasingly invested in modernizing the country's armed forces. This has included the development of high-tech tools to close the wide gap between Russia's armed forces and those of its top competitor and longtime rival—the U.S. While President Donald Trump has attempted to work with Putin to rehabilitate ties between the two powers, the U.S. and Russia remain deeply suspicious of one another's intentions, especially in the defense sphere. Washington has accused Moscow of undermining democracies abroad, including an alleged plot to sway the 2016 U.S. election in Trump's favor. Russia has argued that the massive U.S. military contribution to NATO and the Western military alliance's establishment of battlegroups near Russia's borders has threatened its own national security. Moscow has fortified its boundaries and developed new missiles said capable of evading even the world's top defenses. Despite Putin's military push, Russia remains far behind the U.S. in a number of key areas, including aerial stealth technology. Both Russia and China are working to close this gap. NATO has also worked on its own form of invisible uniforms in the form of a Turkish fabric that spreads a soldier's body heat to avoid thermal and radar detection. Last month, University of Wisconsin-Madison researchers showed off an ultrathin black silicone sheet that could block infrared light. Canadian company Hyperstealth has claimed that the U.S. military expressed interest in its own Quantum Stealth cloak that reportedly bends light, but the request was ultimately canceled in 2016.